This past weekend I was in Boston! I had a great time with my family and friends, and ran Half Marathon #21. 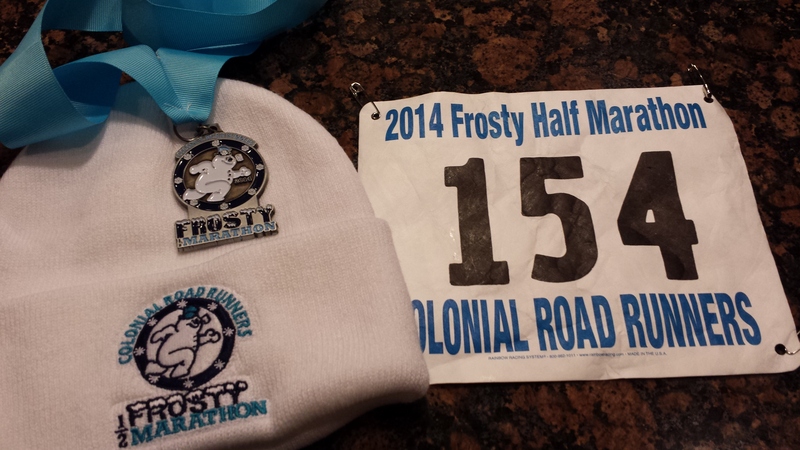 It was the Frosty Half, put on by Colonial Road Runners, my east coast running club. This was a small race, about 225 runners. My sister and Dad were volunteering. We got to the high school about 7:15 and waited in the cafeteria, which was great because it was cold and windy, about 30 degrees. I was able to catch up with many of my old running friends. We started on time at 8:30. I heard that the course was not flat, but after the Seattle Half, 2 weeks ago, I wasn’t concerned. The first few miles were easy rolling hills. At each water stop and turn there were people I knew. This is always a big morale boost for me. I was pretty sure I was going to get a sub 2. I felt great and all my miles were under 9 minutes. Mile 10 had a big hill that never ended. Finish time 1:56:19, less than 30 seconds off my PR and a solid sub 2. I was super happy. At the finish line you got your medal and they had a table with cups of water, yes I hate that, but in the gym they had bottles of water and juice. There was also a full breakfast, eggs, pancakes, bacon, sausage, toast, fruit, coffee, hot chocolate. A few club members posted race photos on Facebook. This one is from Greg Buckley. No shirt with this race, but an awesome hat and medal. I like races that have different swag. This was a well organized race. Thank you to all the volunteers and CRR. What is your favorite non shirt race swag? 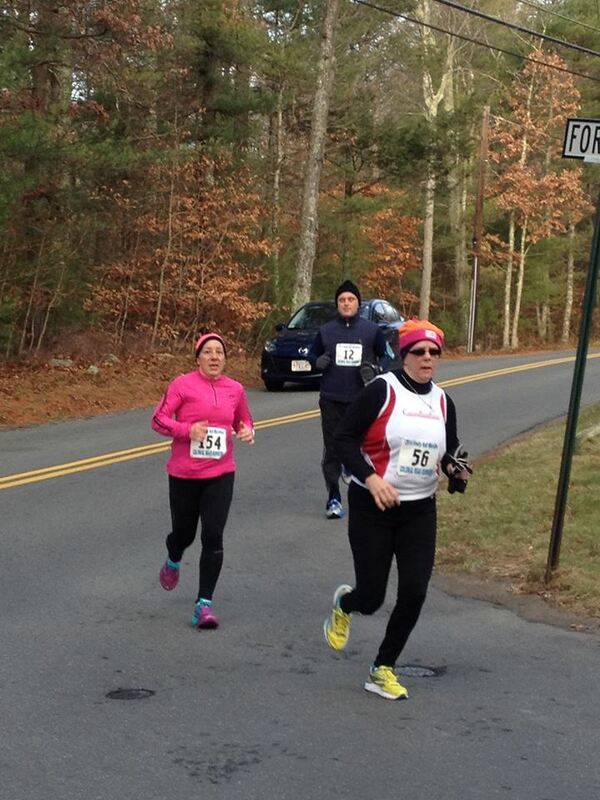 This entry was posted in Uncategorized and tagged Colonial Road Runners, Frosty Half, Half Marathon, Running. Bookmark the permalink. Congrats on your sub 2 finish! The finish line breakfast and seeing friends must have been great!